On Tuesday, August 23rd I had the pleasure of sitting on on our webinar "How to Optimize Conversations on Facebook to Increase Your Social ROI" featuring Chad Estes, Vice President, Client Services at Vitrue. If there is one real takeaway I learned from this webinar it is that there is no magical "right" answer for "When is the best time and day to post to your fans on Facebook?" 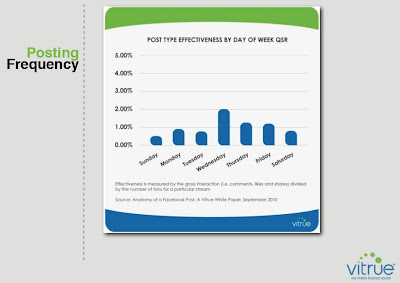 In fact, as shown in the two slides below the optimal time to post can vary widely depending on what sort of brand you're representing. The best way to find your optimal time and day? Try out different options, monitor responses, and see what works. What is "just right" for one brand may be all wrong for another. Be wary of using automated publishers, Facebook has begun grouping posts by source and even subject, so using a publisher like Hootsuite may cause some posts to be missed. Attention spans are limited: Keep posts short and sweet, and include an image if possible! Sound interesting? You can view a recording of the presentation here. Today's marketing leaders have to be plugged in to sales, service, technology and every other division that interacts with consumers. Media fragmentation, accelerated product life cycles, widespread globalization, and punitive regulatory constraints have made the CMO's job very challenging. Traditional marketing practices are no longer effective in delivering a holistic experience for your customers OR significant ROI for your bottom line. A 360 degree perspective is required to fully grasp all of the data and tools that are being used, creatively and effectively, to better understand and communicate with your customers. Fortunately, Internet based collaborative technologies and marketing analytics enable a convergence of data that paints an entirely new picture - one you can act on intelligently to move from fragmentation to integration. Find out how to leverage new strategies to overcome these challenges. Nello Franco, SVP of Customer Success, Lyris, Inc.
Jennifer M. Cook, Director of Communications & Community, Lyris, Inc.
Are your email marketing approaches hot...or not? 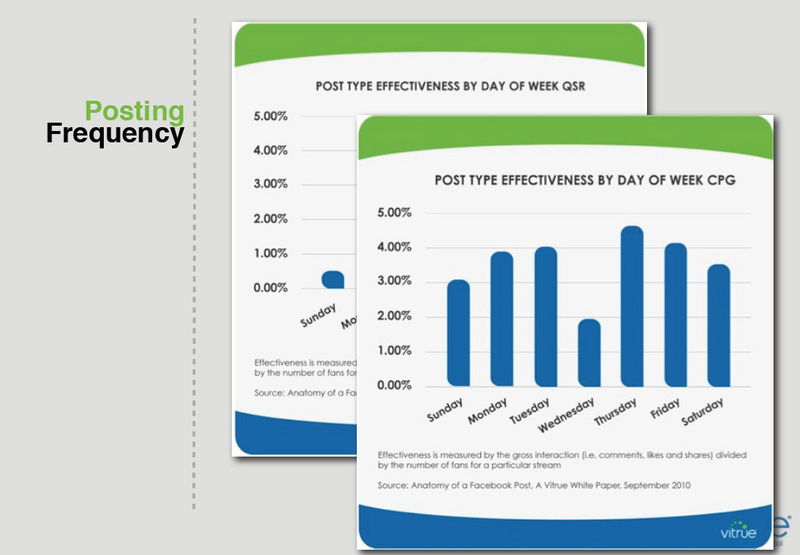 As an email marketer, you know the pressure you are under to stay abreast of and leverage best practices so that you can deliver results to your organization. From the ongoing blitz of social media to the ever-growing impact of mobile devices, the opportunities are limitless. Yet, where should you invest? Take an hour and learn from the experts at Lyris. Nello Franco, SVP of Customer Success and Jennifer Cook, Director of Communications and Community will reveal to you the Top Trends to Take On in 2011. They will show you what's working for companies like you and how to leverage the trends for greater success in the second half of the year. 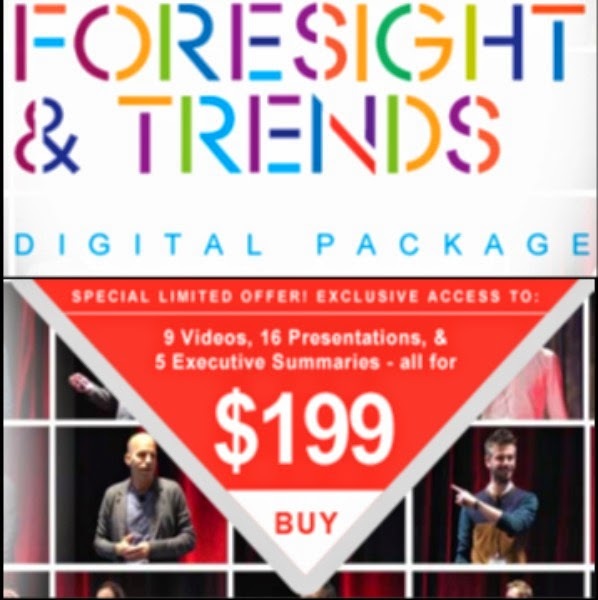 As a special bonus, attendees will receive a free copy of The Future of Email: 2011 Trend Watch Guide, as a follow up to the webinar presentation. 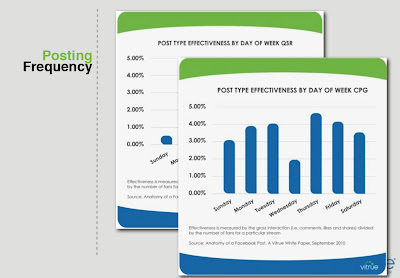 This downloadable how-to guide is designed to help improve your email marketing results immediately. The fastest growing segment in marketing? Facebook and the power of 4 Billion "Things"
NASA: Unexpected Social Media Success?